On 18 May 2013 the ONGC Vasudev kutumb organised MORAL VALUE EDUCATION PROGRAMME in jimp pioneer school. The aim of the camp was inculcate value education in the students. The students of class 6th, 7th, 8th (TOTAL 130 STUDENTS) participated in the camp. The camp started at 10:30 AM. The members of the team were Mr. A,K.Mehra, Mr. Oberai retd. 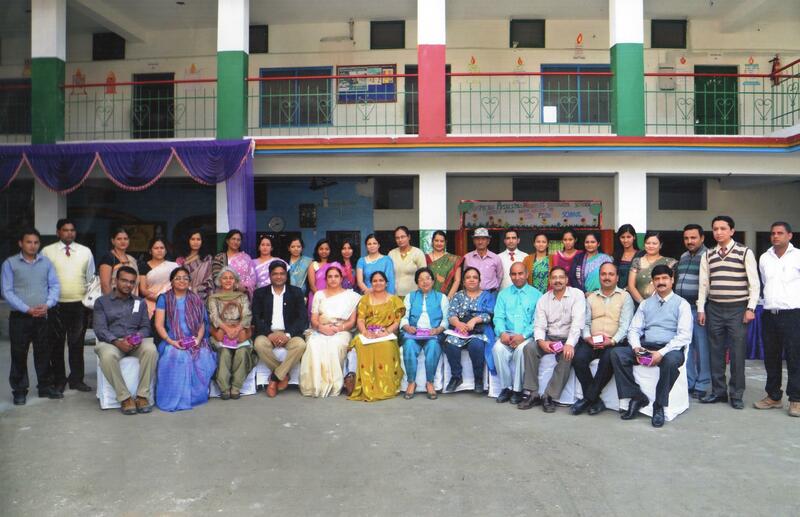 D.G forest, Mrs. Oberai retd teacher K.V , Mrs. Handu retd principal K.V, Mrs. Anita teacher K.V, , Mrs. Shilpa teacher Art of living Mr. Yogesh and Ms. Seema. Members of the team told students about the importance of good values & how to continuously assimilate them in life. Students actively participated in Yoga, meditation & mind games which were aimed to enhance their personality the team distributed refreshment to students and gave them prizes to motivate them. By 1 pm the camp ended at a happy note.